Click on the grade you want to study, or click here to find out what grade you are. "The grade 5 books are truly wonderful, you have explained everything so well and in a very engaging way. I was very daunted by the idea of studying theory before I found your material. I now find the subject fascinating and actually enjoy learning about music theory. I passed my grade 5 theory first time with a mark of 93 and a distinction. Something I know I would not have been able to achieve without your brilliant website and book." "I just wanted to say a big thank you to you for the course. I have just passed grade 6 theory and it has been instrumental (no pun) in helping me to do so - in fact I don't think I could have done it without your site. I now intend to apply to do a piano teacher's diploma, now that I've got the qualifications I need!! Many thanks again!" "I scored 80% in Grade 8 Music theory. I thank you for all your support and guidance in my learning journey. You've always clarified my doubts and the explanations been concise and clear. I once again thank you for being my BEST music tutor." 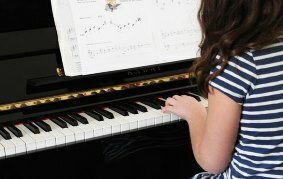 Why Take Music Theory Lessons Online? The internet has revolutionised teaching - not only is a broad education available to anyone with internet access, but online courses are normally both very affordable (if not free!) and very effective. 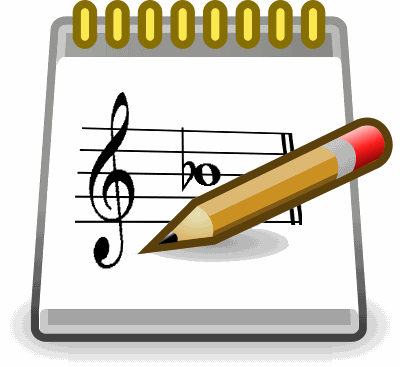 Traditionally, music theory has been taught as an add-on, squeezed in at the end of piano or trumpet lessons, crammed just before an important exam, and forgotten once the exam is over. The internet is changing all that! Music theory is now accessible as a subject that can be learned at length, in an enjoyable way, whenever you want and at any age. I have loved music theory for as long as I can remember, and being able to reach an enormous audience worldwide teaching music theory lessons is a dream come true for me - I hope to share my enthusiasm and knowledge with you and always love to hear from my students - so please send me an email and tell me your story! One of the reasons that music theory lessons work so effectively online, (compared to a book, for example), is that you can listen as well as read, as you learn. A lot of students write in to me, to tell me that working from a book can get really confusing - not only because you can't listen to the lesson you are reading, but also because you can't ask questions or get clarifications if you're unsure of anything. That's another reason why internet based theory lessons work so well - as your teacher, I'm "virtually" here pretty much all the time, and happy to answer your questions either using the discussion panel at the bottom of the page for each lesson, or by email. You can also reach me at all the other usual places - Facebook, Twitter, LinkedIn and so on! Each lesson on the site is followed by a page of exercises - you can use these to test your understanding of the material. In most exercises you can reveal the answers by hovering your mouse over an image (e.g. music stave or light bulb icon) (on mobile devices you need to click, but using a mouse just need to hover). While doing interactice exercises is a great way to test your understanding quickly and effectively, nothing quite beats doing it the "old fashioned" way with a paper and pencil. For this reason, PDF versions of all the lessons on the site are available for a small fee (Click Downloads) and if you're going to be taking an exam, I'd strongly recommend practising this way. Apart from the web-based lessons, I also teach music theory via video courses and by email. I have some courses designed to be done by email, but also teach students this way, and offer you a marking service for past exam papers, exercises from music theory books of any type, or other related subjects. There's also a blog attached to this main part of the MyMusicTheory website, which I use for more general musings on the topic of music, music education and related subjects. I'm 100% committed to music education and keen to support anybody who is encouraging people (young or old!) to take up music, as I passionately believe that being involved in music brings benefits to both the individual and society as a whole. If you are involved in a project and would like me to help promote it by leveraging my social media and website following or you'd like to write a guest post on my blog, please do get in touch! 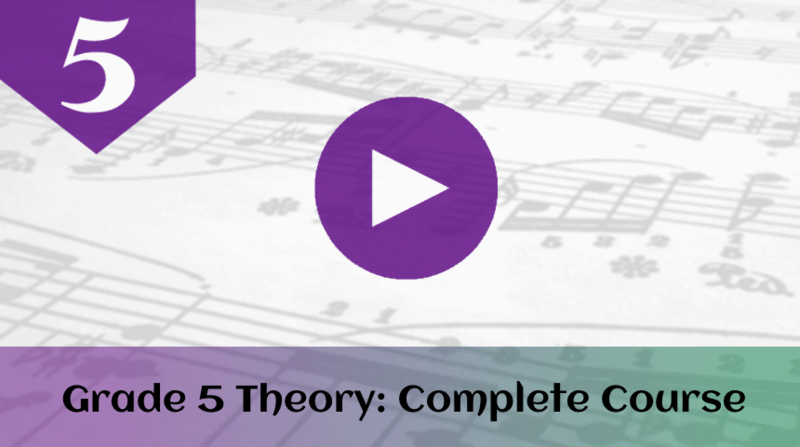 I sincerely hope you enjoy the music theory lessons on this site. Let me know if you have any comments, recommendations or would just like to share your story.